Opposites has one gimmick going for it: thankfully, it’s an excellent one. Imagine two games of Tetris, playing against each other. 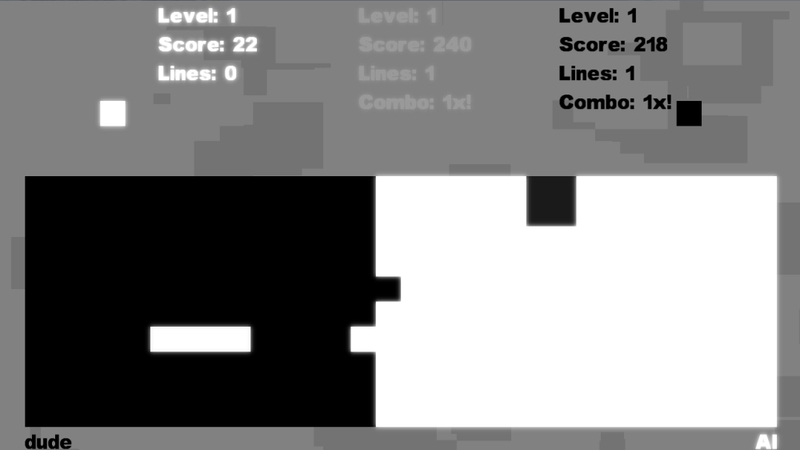 One side is dropping black blocks, the other white blocks: every black block becomes an empty space for white to have to fill, every white block placed becomes empty space black must attack. What’s great about this is that there’s a real incentive to place blocks quickly which tests your time management and accuracy: place them too quickly and you’ll likely drop some inaccurately, place them too slowly and your opponent (or the AI) might drop blocks faster than you. There’s multiplayer here, both local and online, so the feature set isn’t bad for an 80 Microsoft Point games. It’s really satisfying and well worth it’s asking price.